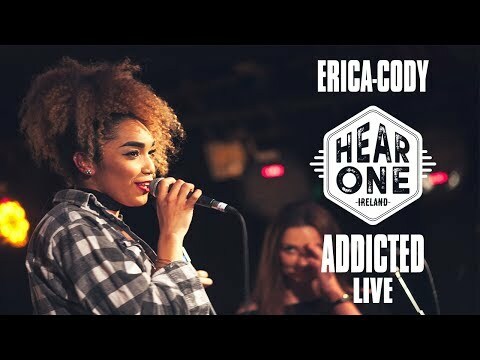 Inspired by the greats from a range of different genres, Erica listened to artists such as Stevie Wonder, Lauryn Hill, Aaliyah, SWV and Justin Timberlake when growing up. She incorporates this old school sound with a modern RnB twist in the music she creates. At 15, Erica started performing backing vocals for local artists before doing her own thing. After being spotted by a booker, EC landed her first solo support gig for Afro-beat artist Wiz Kid. Shortly after that she entered the world of production. When Santa left an iPod touch in her stocking that Christmas, she started creating that day! Quickly catching the songwriting bug she couldn't stop writing and producing. Now 20, Cody studies vocals at BIMM and has been focusing on producing a catalog of new music. Experimenting with her vocals and musical abilities over the last 4 years, the young artist has found a sound she is excited to share with the world. Addicted is the first single to appear from Cody with a video to follow in August. "In a world where we are expected to do and be, I'm for all those little girls who choose to be different"